Defend patients, staff and visitors from airborne bacteria, viruses and mold throughout your facility with the patented UV24 system. Overhead, out of sight, the patented UV24 system provides continuous ultraviolet protection against airborne pathogens, all safely hidden behind standard-sized fluorescent or LED ceiling lights. The fast, continuous UV24 air purification system works around the clock to provide fresh, clean air to breathe. 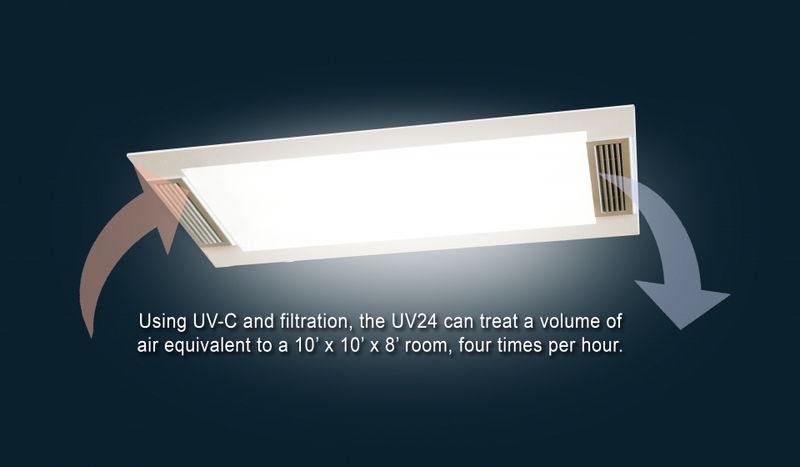 UV24 combines an ultraviolet germicidal irradiation (UVGI) chamber and air circulating fans with an overhead ceiling light to allow for 24/7 operation in occupied spaces. 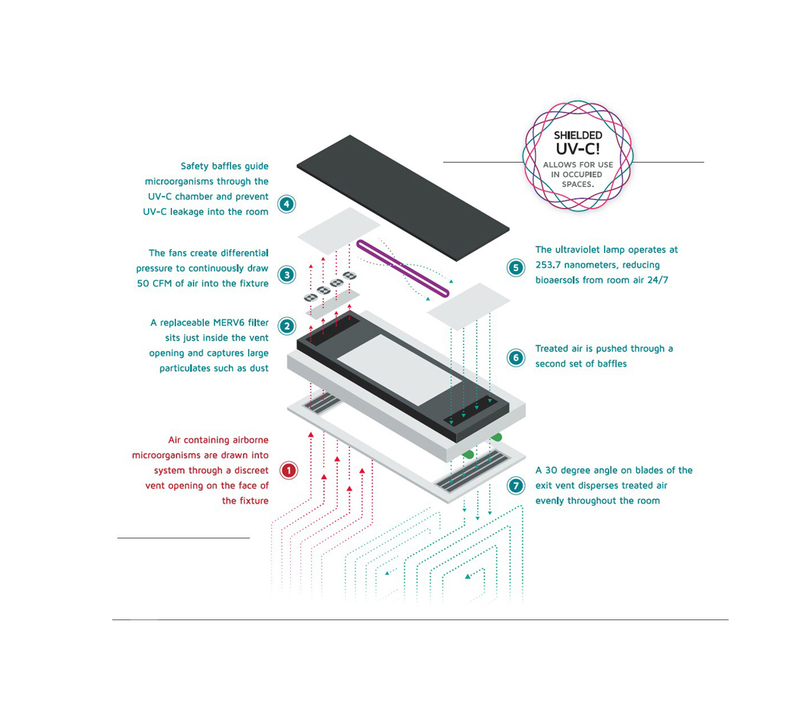 UV24 can treat a volume of air equivalent to a 10’ x 10’ x 8’ room, four times per hour. Studies demonstrate that UV-C can be a meaningful defense against healthcare acquired infections (HAI’s) such as MRSA, C.diff, Staph, Ebola, Tuberculosis, Staphylococcus aureus, Pseudomonas aeruginosa and Clostridium difficile. Ideal for use in hospitals, nursing homes, surgery centers, and daycare centers, anywhere airborne pathogens can impact patient and staff health.